Strawberries have been in season for a while here. 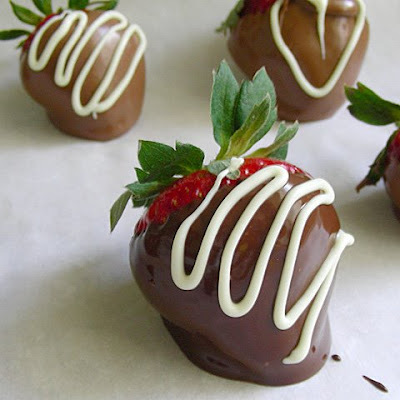 I hadn't had much success with my previous attempt at chocolate dipped strawberries. Rather than some fancy recipe, this time I just melted some Ghirardelli chocolate chips and dipped the berries in the melted chocolate, then melted a little white chocolate chips for the decorations. They are not perfect, but they sure were tasty - and doesn't practice make perfect?